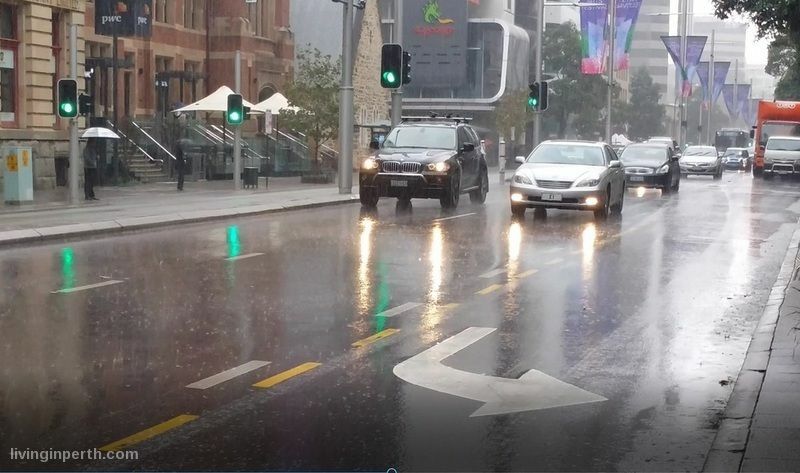 Winter is back upon us, and it has been proven that Perth drivers have more accidents in the winter and as if to further prove it Lightning Towing has also seen the number of wet-weather accident towing jobs increase. We would prefer our customers to stay safe, so here are some important tips to prepare your cars for the wet roads this season. Driving in wet-weather or early morning winter conditions can be unexpected and cars can be less responsive than warmer months, so always proceed with caution and take your time on the roads. It’s not just about surviving those chilly starts; it’s also about keeping you, your passengers and everyone else on the road safe. On those dark mornings you should turn on your headlights for increased visibility. Some cars may have day running lamps, which will keep you permanently illuminated and 8 times safer than those without. Cloudy and/or blown headlights are illegal to drive with in WA, so make sure you clear your headlight casing and replace any bulbs you need before the season hits its peak. Turn your front wheels full lock to each side and inspect your tyres for sufficient tread. Tyres without much tread left or are under inflated will have less grip on the road and will mean your car takes longer to stop in wet-weather conditions. New tyres have around 8mm of tread, and the minimum legal tread depth is 1.5mm, but the more tread, the better. If there are any cracks, flat spots or gashes you should have them replaced before stepping out in winter conditions. Balding or damaged tyres significantly increase the chances of been involved in an accident. Correct tyre pressures will also make tyres last longer, and make a major contribution towards fuel economy. Ensure that your windscreen wipers are in working order, and replace them if they are degraded or inoperable. Check the wiper fluid is topped up so that you can effectively clear your field of vision from any frost. It’s also worthwhile checking the nozzles and pipes are clear. If the nozzles are spraying too high up you can reposition the nozzles with the end of a paperclip and some little trial and errors adjustments. Wipers are a key part of staying safe on slippery winter roads when there is often poor visibility, and thankfully they are cheap to replace. Sluggish engines often mean thick fluids and cold pipes. By starting your engine two minutes before you depart you can warm up your car to ensure it’s in smooth working order for your morning drive. If your vehicle has a winter, wet or all weather driving mode, engage this when driving. Cold temperatures can be harsh on a car’s battery. Typically, in winter a car’s fluids can be thicker meaning car batteries may have to compensate by generating extra power. You might also be running extra features like warm air-conditioning and wipers. Check your battery with your mechanic and replace if needed. If you do find yourself stuck with a flat battery, Lightning Towing can provide roadside jump start service for our standard call out fee. Now, we hope you don’t find yourself in an accident or breakdown this winter, stranded on the side of the road. We know how stressful it can be – that’s why we pride ourselves on quick, friendly service, and on getting you and your car off the road as soon as possible. After reading this, do yourself a favour: put our number in your phone, just in case. We hope you never have to use it. Have Lightning Towing’s number (08) 9225 5440 in your mobile phone in case an emergency occurs. Contact Lightning Towing when you are in need and have us stored in case something happens. You never know when your invincibility will expire!